Dwaine will use all his cutting edge techniques to bring you from point A to point B. From stuck to alive and thriving. With his 20 years of experience as a Clinical Hypnotherapist in personal transformation work, he has seen and worked with it all but still holds an openness to your specific circumstances and sacred way of change. Frequency is everything in manifesting your life and knowing how to help you raise frequency quickly is his specialty. Detecting and moving beyond the blocks that keep you from your higher truth of living. Together you will create your new vibration and learn how to keep yourself free. You will feel the effects of his 20 years experience in your first session. 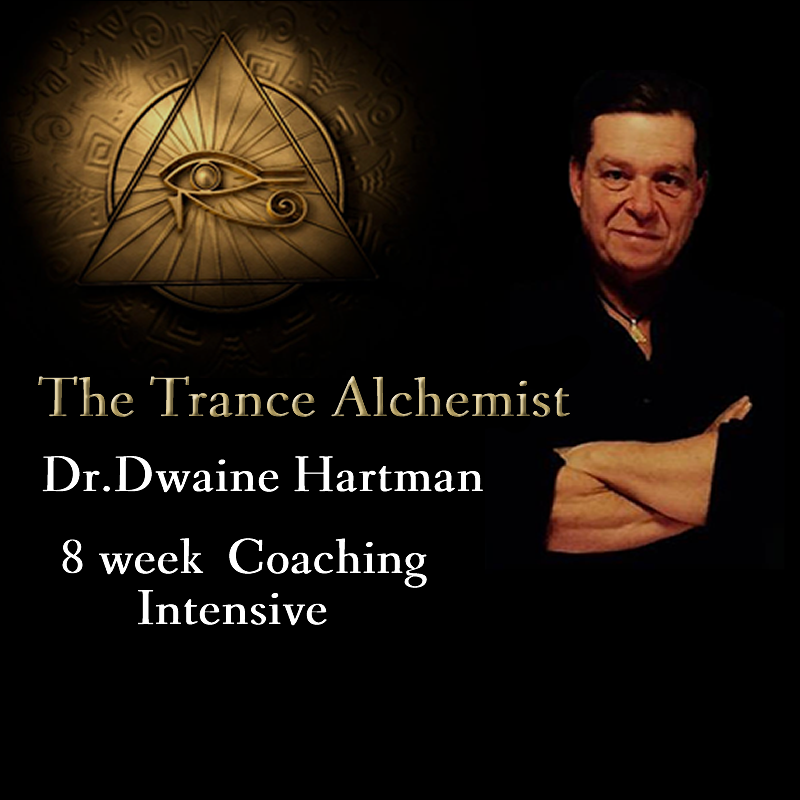 Dwaine works on the fly with what ever you choose to transcend, heal or overcome in life.You will be given weekly tasks and disciplines to move beyond the miss manifesting ego. You will experience the magic of you in harmonic resonance as the commander of your life again. The best investment of your life. Dwaine is a genius at what he does. He is very knowledgeable, trustworthy and beyond competent. He found the way and the right questions to ask to make me put the pieces I had together to paint the whole picture and remove the confusion. Whatever you need he helps you help yourself, and come back into your own power. You do the work, he guides you. I was deeply depressed most of my life, the journey was long and painful and after his Trance Alchemy coaching sessions I feel a burden was lifted off my back and I can affirm that I finally feel free for the first time. Thank you so very much !